This beauty was the very first piece of my vintage pottery collection. A friend of mine bought it for me at a bazaar in a local church more than 10 years ago, before I even knew the word vintage. Thank you Lilith for getting me hooked so that every shelf in my flat is loaded with vintage ceramics now! The design ♦ I always thought this vase was very special, the shape, the colors, the pattern. 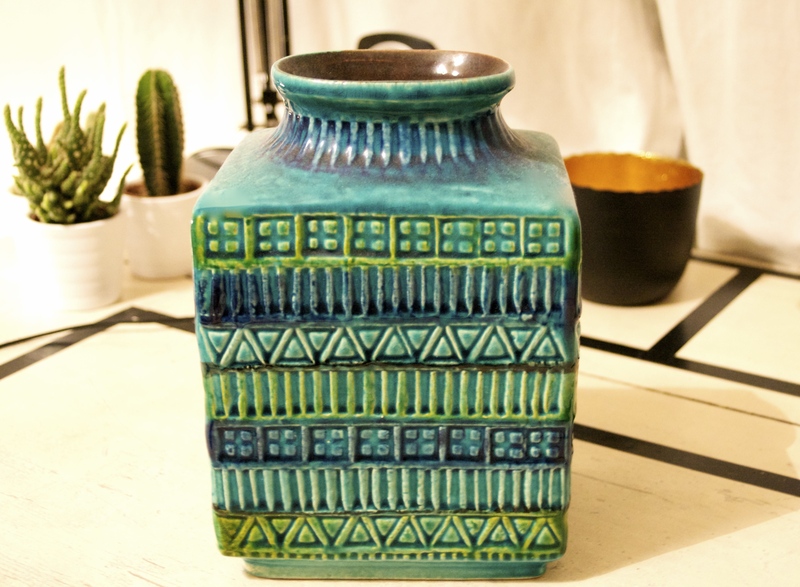 Later when I started collecting vintage items I found out that this one was produced in the 1960s or 70s by the German company Bay Keramik.It was drafted by the German designer Bodo Mans (1935-2001). His colourful designs and the abstract geometric shapes and patterns enjoy great popularity with today´s collectors. 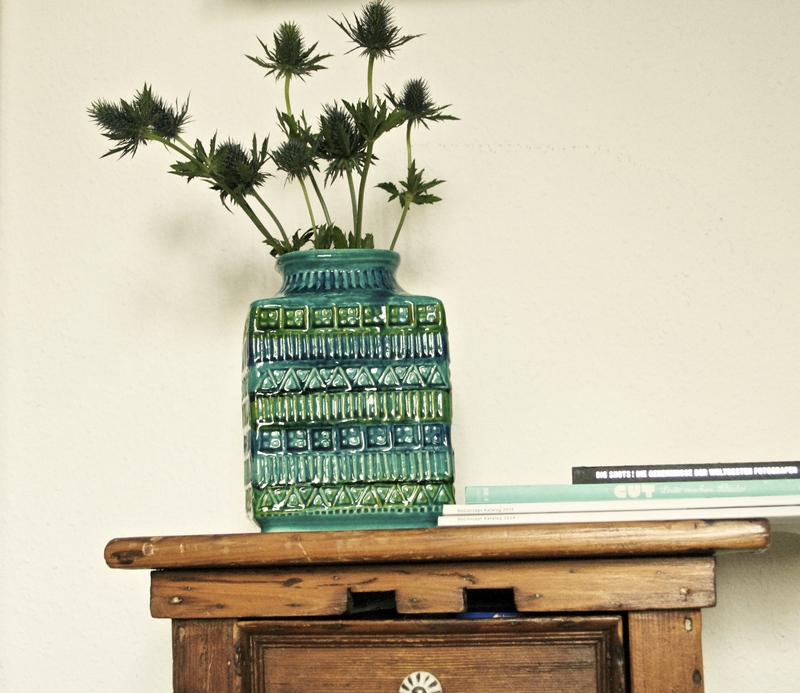 The vase is part of the Töpfermeister series, it can also be found in red, orange and grey. Not knowing what a great piece she had found my friend paid only 3 euros while the vase costs up to 80 euros on ebay, etsy and similar marketplaces. West German Pottery ♦ In the post-war period after WWII German Pottery became a real thing. 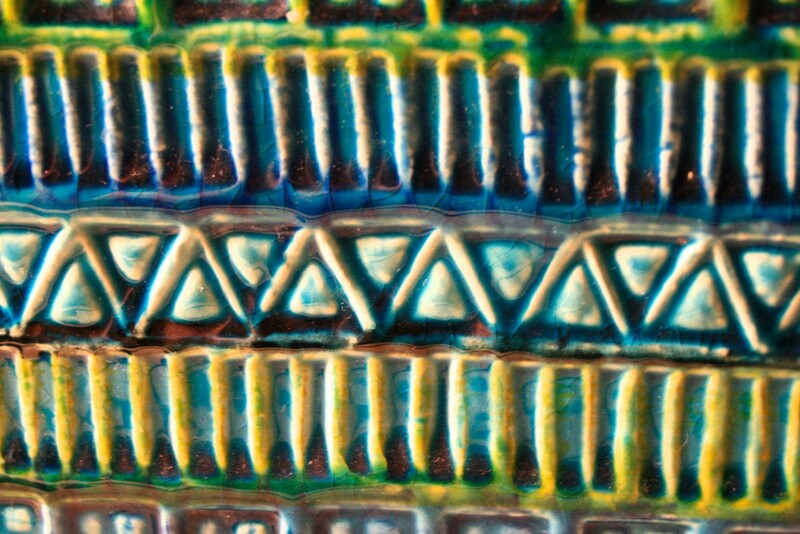 The post-war spirit and new production methods led to innovative designs and colors. Many of these beautiful pieces can be found at flea markets and vintage shops for very little money. Go out there and get one yourself!